Three key quality headphones ideal. Three key quality headphones ideal. With an integrated Mp3 player sound is transmitted with maximum saturation (compared with bluetooth), thus you will never miss an important call. Rugged ergonomic body with seals of eco-leather. Easy to fold and takes up a minimum of space. Built-in FM radio and Mp3 slot will allow to diversify your music library and listen to new and interesting tracks. Stylish pouch included. 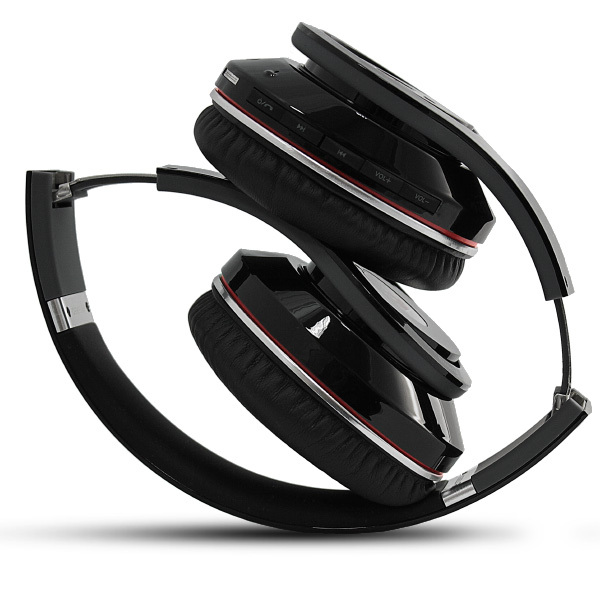 Allows easily choose headphones with in a long journey.